The overall stay has been overshadowed by the fact this company seem to be refusing to answer any attempts to contact, phone calls, texts, tweets, emails and online queries via the website regarding the return of my deposit which was promised 3 days ago and still not received. Location was outstanding and the apartment was spectacular. The property was very central at a reasonable price. The car park was a short walk from the apartment and was free for one car, removing the expense of staying so centrally. Really reasonable price for a modern apartment full of high spec facilities. The staff were very friendly and helpful. Guy in the Reseption was cooperative. and Rooma are cleaned. It was sleek and modern. The rooms were spacious and cosy. I loved staying, it felt like a home from home. Great value for money. We rented a 3-bedroom apartment which comfortably fit 6 people, with a nice living open planned living space. The flat had perks like kitchen supplies, bluetooth speakers in every room. Each bedroom had its own bathroom attached/separate. The location of the flats is very central allowing us to walk to local sites/restaurants/bars. Lock in a great price for St Anns Square Apartments – rated 9.1 by recent guests! 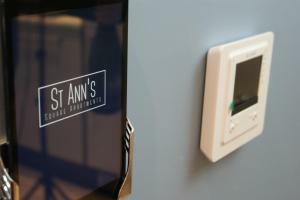 St Anns Square Apartments This rating is a reflection of how the property compares to the industry standard when it comes to price, facilities and services available. It's based on a self-evaluation by the property. Use this rating to help choose your stay! One of our best sellers in Manchester! 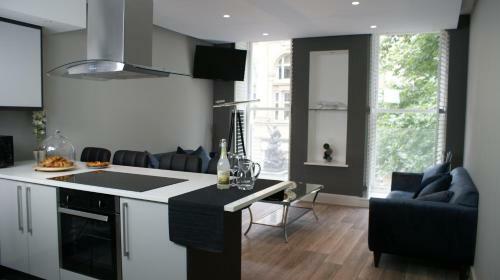 Featuring free WiFi, St Anns Square Apartments is set in Manchester, 1,000 feet from Deansgate. The Opera House is 1,950 feet from the property. All units have a dining area and a seating area with a flat-screen TV. There is also a kitchen, fitted with a dishwasher. An oven, a microwave and toaster are also featured, as well as a coffee machine and a kettle. Each unit comes with a private bathroom with bathrobes and free toiletries. Towels are offered. The property has a 24-hour reception desk. G-MEX Center is 1,950 feet from St Anns Square Apartments. Manchester Airport is 8.7 mi away. 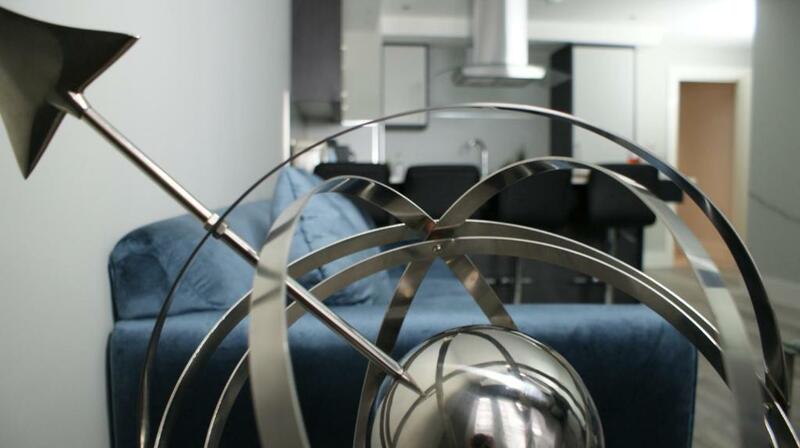 뀐 Located in the real heart of Manchester, this property has an excellent location score of 9.7! 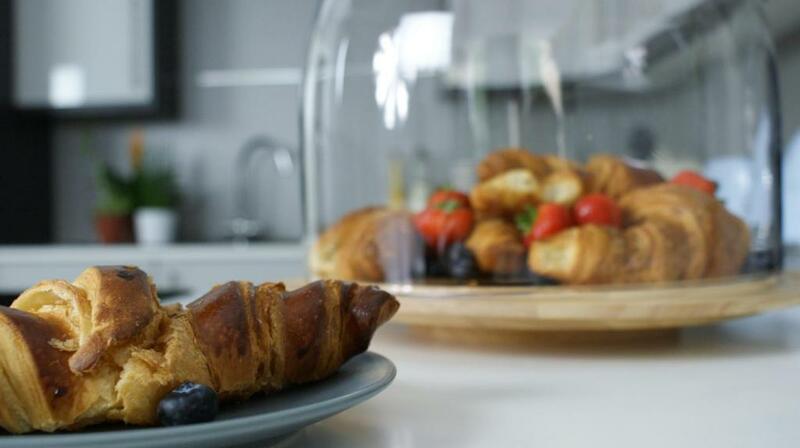 When would you like to stay at St Anns Square Apartments? This apartment comes with an iPad to control the TVs and Harmon Kardon Bluetooth speakers located in all rooms. It also has an app to activate the Nespresso coffee machine. The kitchen is fully fitted with a fridge/freezer, oven, hob, washing machine, dishwasher and microwave, kettle and toaster. It is stocked with crockery, cookware, utensils, wine and champagne glasses. A selection of complimentary coffee pods and Twinings tea. The apartment features a contemporary, minimalist-style interior decor. The kitchen is fully fitted with a fridge/freezer, oven, hob, washing machine, dishwasher and microwave, kettle and toaster. It is stocked with crockery, cookware, utensils, wine and champagne glasses. A selection of complimentary coffee pods and Twinings tea are available. 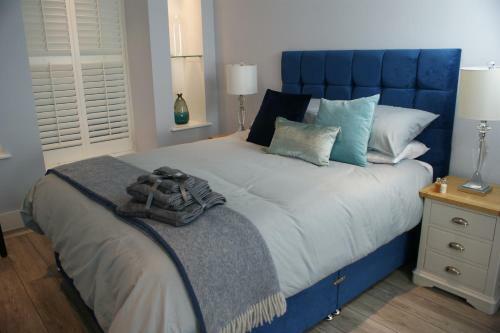 House Rules St Anns Square Apartments takes special requests – add in the next step! St Anns Square Apartments accepts these cards and reserves the right to temporarily hold an amount prior to arrival. Guests need be quiet between 8:00 PM and 12:00 PM. When booking 3 apartments or more, different policies and additional supplements will apply. Please inform St Anns Square Apartments of your expected arrival time in advance. You can use the Special Requests box when booking, or contact the property directly using the contact details in your confirmation. View onto back street obviously not good but it didn’t detract from our stay. Can’t really expect a good view staying in city centre. 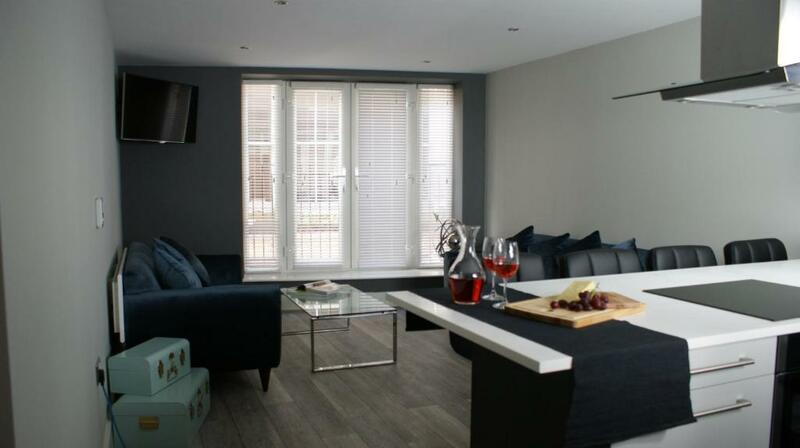 Very good apartment for the price with a very modern kitchen and bathrooms and very friendly staff. You walk straight outside into the shopping area do very central for the shops and bars. Have stayed here before and going back in Nov for the Xmas market. There was no point of contact when issues arose. I requested an invoice from the property via all the available means and received no response. The credit card I used to book the property was charged with no warning even if I mentioned I wanted to pay with a different card on arrival. The receptionist was kind on arrival. The flat seemed clean and had a good location. The smell was strange especially in sleeping room there was no open window possibility and the air was not fresh. TV in the sleeping room didnt worked as well as chandelier. Apartments it self appearded new and fresh but it was not comfortable at some point. The pictures are not very much of reality. Location is really worth of 9 points. The lack of communication between host. Tried to contact them several times and there was no answer to their phone. There is no ‘reception’ in the hotel other than someone to greet you on arrival. Was very good place to stay. Lovely rooms. How ever Bath room absolutely stunk of rotten eggs. 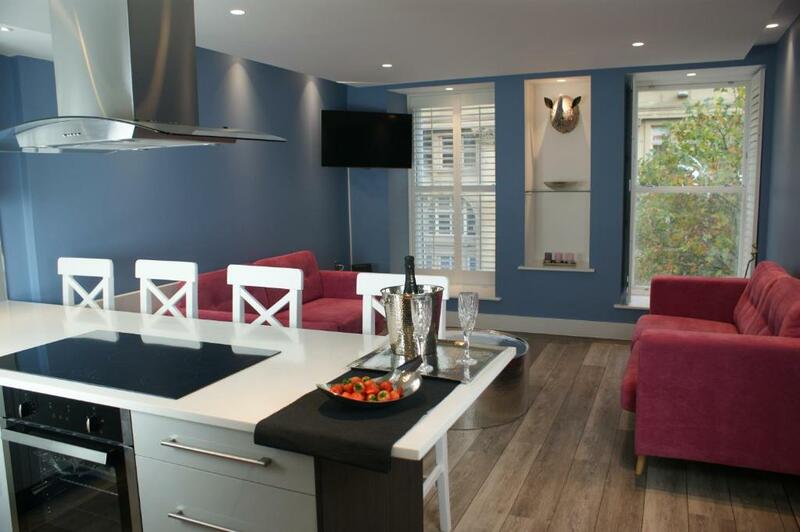 Great location 2 mins from restaurant pubs and theatre, Clean and well appointed. Really hard to get hold of, emails arent replied to and phone wasnt answered when I wanted to contact them to confirm booking. There wasnt anything in apt to clean with or tea towels... no lid on the toilet and instead of shampoo and body wash in the shower theres hand wash and hand cream. No lid on the toilet- quite a bit of wear and tear throughout. No parking. Really big apt! Great location, good tec throughout the apt, amazing heating. Decorated well. Website advertised free parking, gives you post code of the car park. Get there and park. £37 for an overnight car park to then be told this isn’t the case and there was nothing they would do about it... was told “I should of checked before parking” however when I had tried to ring the two numbers provided. There was no answer on a number of occasions... false advertising and very unprofessional. Perfect location, very stylish and massively appropriate for use. Apartment was in a great location. We could watch the buskers in the square below whilst drinking wine in the apartment! Bathroom smealt horrible, as if the drains were blocked. Ony one breakfast tea bag, dont like unusual teas!! The shower door in the front bedroom was broken and I must say I forgot to report it because we left in the morning without seeing anybody, and I had forgotten by the time we returned for our luggage. Perfect location for shopping,restaurants,theatres and arena whatever you want to do really. Spacious well equipped apartment with three bedrooms and three bathrooms perfect for myself and three friends who like to go away together but have our own space. Will definitely use again. Could not get heating in the lounge to work when switched on. Had an ipad but didn't know what for. Thought maybe it controlled something? Needed a book of instructions for things. The beds were very comfy indeed.ocation exceptional. They have changed the parking rules so it is no longer inckuded. Our accomodation was the 1 bedroom.apt no outlook windows looked onto walls,this affected are wi fi coverage which didn't work.Ali gave us code to try &access but intermittent which slso effected tv in bedroom which never worked.When travelling with teenager wi fi of great importance! !